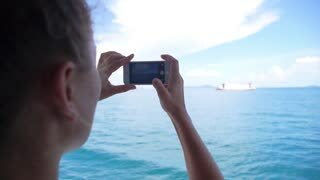 Search Results for "Sailing ship"
Woman Taking Pictures of Sailing Ship with Smart Phone. Slow Motion. 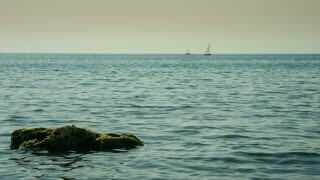 Woman with long hair on a background of calm water and the sailing ship. Aerial view on huge tanker ship moving on the river Danube. 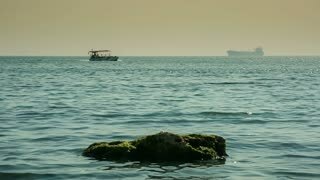 Unidentified Man Jump in Water from Boat. GoPro HD Slow Motion. Thailand. A tall masted clipper ship sails on the high seas against the sun. Spitsbergen, Norway-21 April 2011: Sailboat sailing ship Noorderlicht basecamp in Arctic. Vessel hotel for tourists on way from Longyear to Pyramiden Spitzbergen Svalbard. 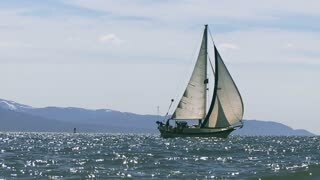 Old Argentinian sailboat "Libertad" on the chilean coasts in Valparaiso. 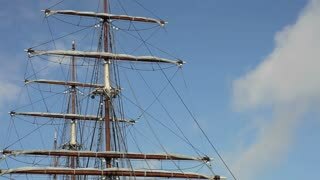 Clouds over the Masts of Sailing Ship. Time Lapse. 4K. A tall clipper ship sails at sunset with sailors on the riggings. A tall clipper ship sails at sunset. 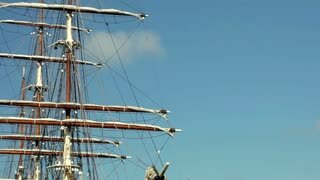 Looking up the main mast on the brigantine tall ship Jean de la Lune in the Canary Islands, Spain. Sunset view whilst sailing on the brigantine tall ship Jean de la Lune in the Canary Islands, Spain.